The future of fashion is Non-Binary! NEWFRDM is a streetwear brand based out of Toronto, made by queer people for queer people. Their message is clear, gender is not a binary, gender identity is limitless and fashion needs to go beyond just male and female categories. 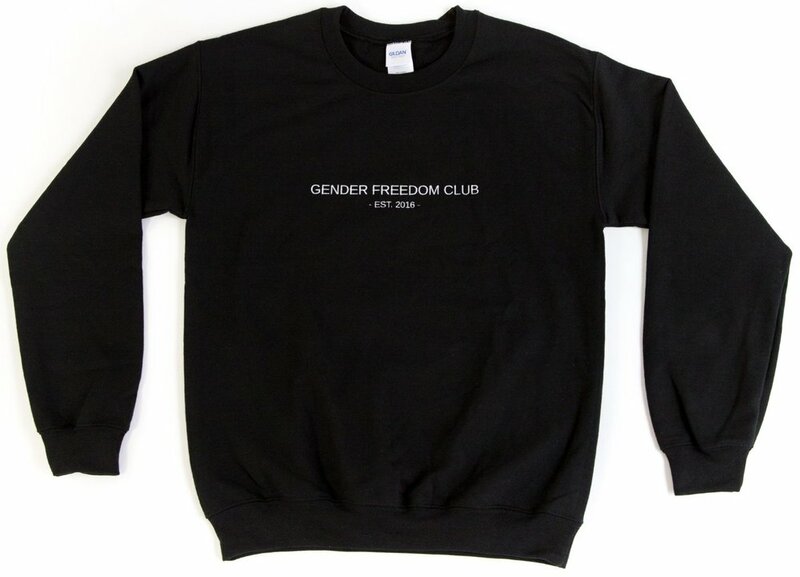 From there brand then grew to design streetwear designs that boldly say ‘Gender Freedom Club’ enforcing the message that everyone should be free from gender expectations, and including those who don’t identify with only male or female fits and sizes in fashion. The collection features a tight selection of T-shirts, sweatshirts, hoodies and hats (mostly in Toronto’s favourite fashion colour, black) with pops of red and grey in the selection of toques. If you browse their site online, you’ll also notice they have a ‘pins + stickers page’ that features pronoun pins, which if worn on a jacket or collar, allows people to wear their pronouns instead of having to say them. 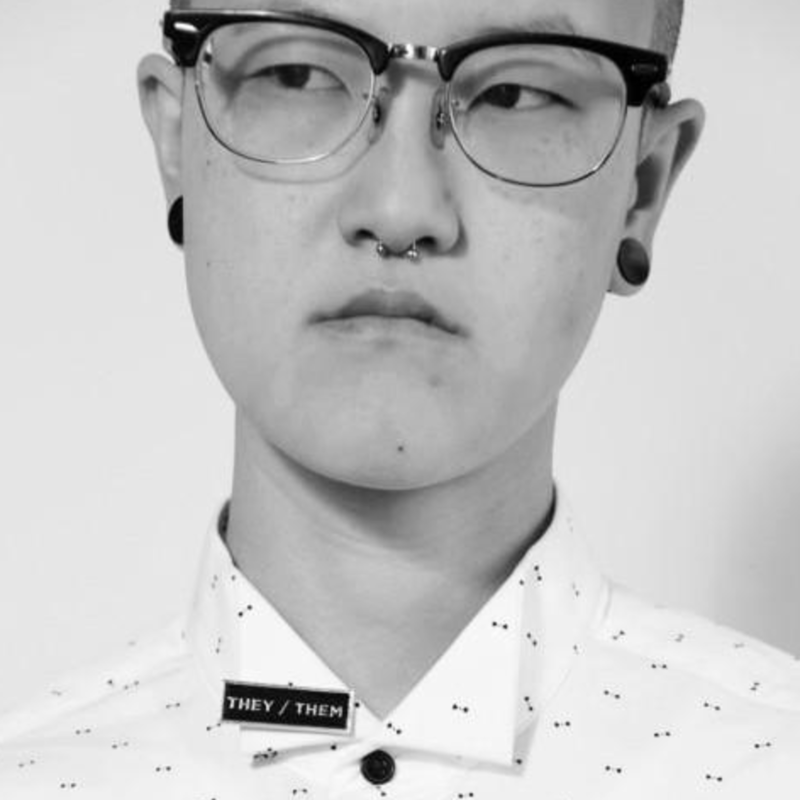 The “They/Them pronoun pin is their #1 selling product within the entire brand. While NEWFRDM is mostly found online, it’s important for J to connect with customers face to face and hear their stories and any feedback. During this past summer, they had a Pride tour with pop up shops at Pride festivals across Ontario. Later this year, you can find NEWFRDM at the Pink Xmas market at the 519 on Dec. 8 and 9. Here are a couple of our favourite items from the site. We love anything embroidered and anything crew neck so this was an obvious choice. Also the Homo is Toronto sticker is a fun queer add-on to your laptop or fridge. All of their items are made in Toronto, we are so excited to see how this brand grows! Diego Armand is the co-founder and editor of Yohomo and is a hoarder of both music and sneakers. Once the Style Life columnist for FAB and Xtra, Diego lives for the hustle now as a DJ / promoter and freelances in fashion direction.